Bollywood superstar Salman Khan was recently spotted at the airport along with rumoured girlfriend Iulia Vantur and nephew Arhaan Khan. The trio returned to Mumbai from Goa after ushering in the New Year's there. Iulia looked classy wearing a short black dress with thigh high boots while Salman was seen sporting a casual look. Malaika and Arbaaz's son Arhaan was seen in a purple sweatshirt and blue denim jeans. On the professional front, Salman will be next seen in 'Bharat', a film by Ali Abbas Zafar. The actor-director jodi has previously delivered blockbuster hits together at the Box Office. Ali has helmed Salman Khan projects like 'Sultan', 'Tiger Zinda Hai' earlier. Iulia looked classy wearing a short black dress with thigh high boots while Salman was seen sporting a casual look. 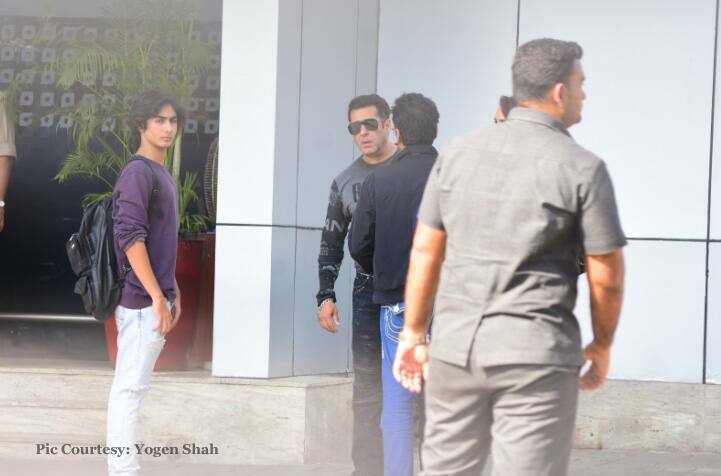 Malaika and Arbaaz's son Arhaan was seen in a purple sweatshirt and blue denim jeans. The trio returned to Mumbai from Goa after ushering in the New Year's there. 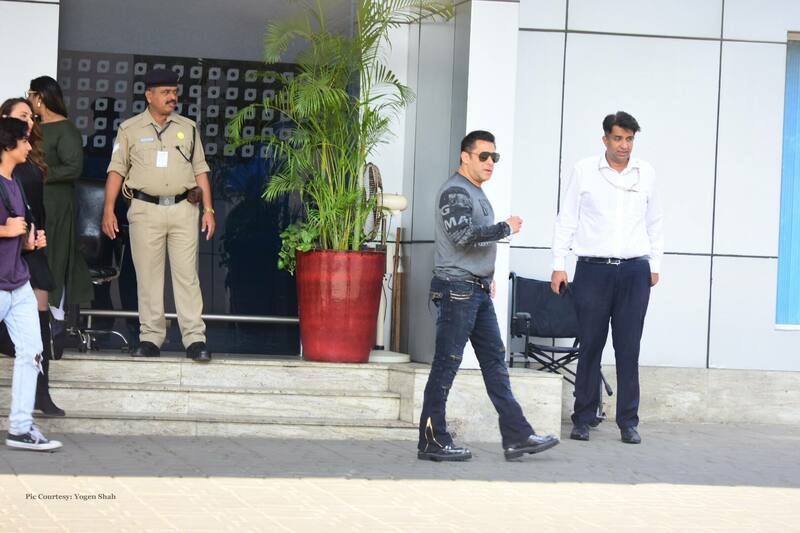 Salman cuts a dashing figure at the airport. 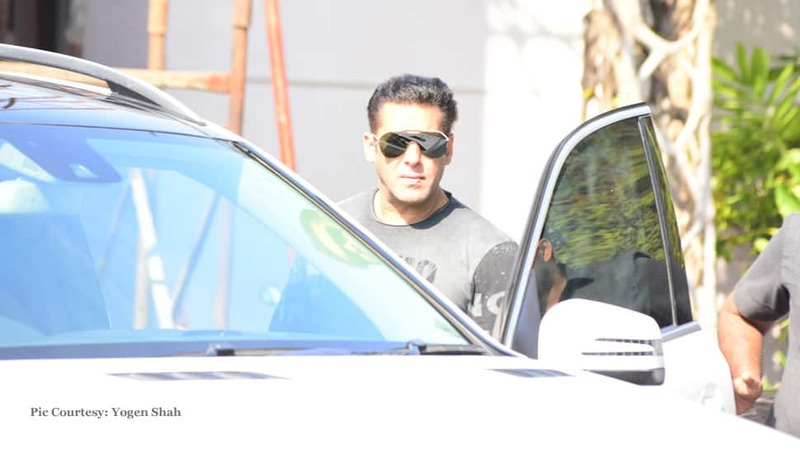 Salman Khan was recently spotted at the airport along with rumoured girlfriend Iulia Vantur and nephew Arhaan Khan.